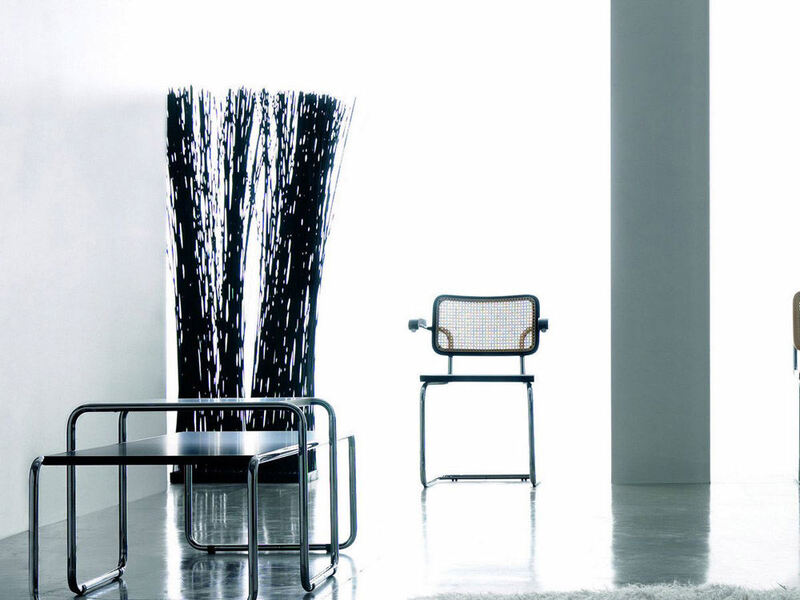 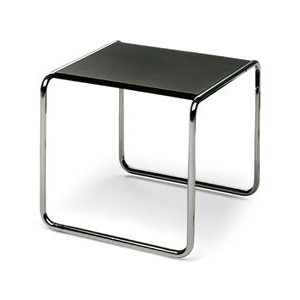 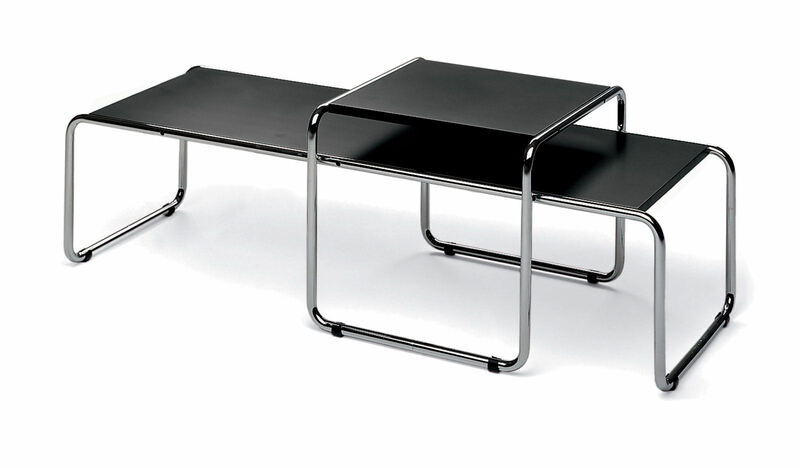 Cocktail table with black or white laminate top and tubular chrome or lacquered frame. 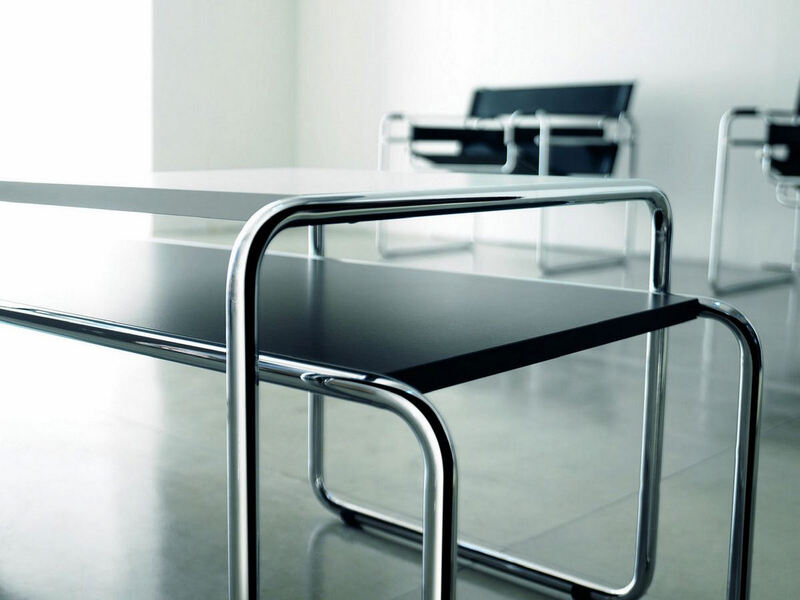 (1902 - 1981) Architect and designer Marcel Breuer is perhaps best known for the design of his famous tubular steel Wassily Chair. 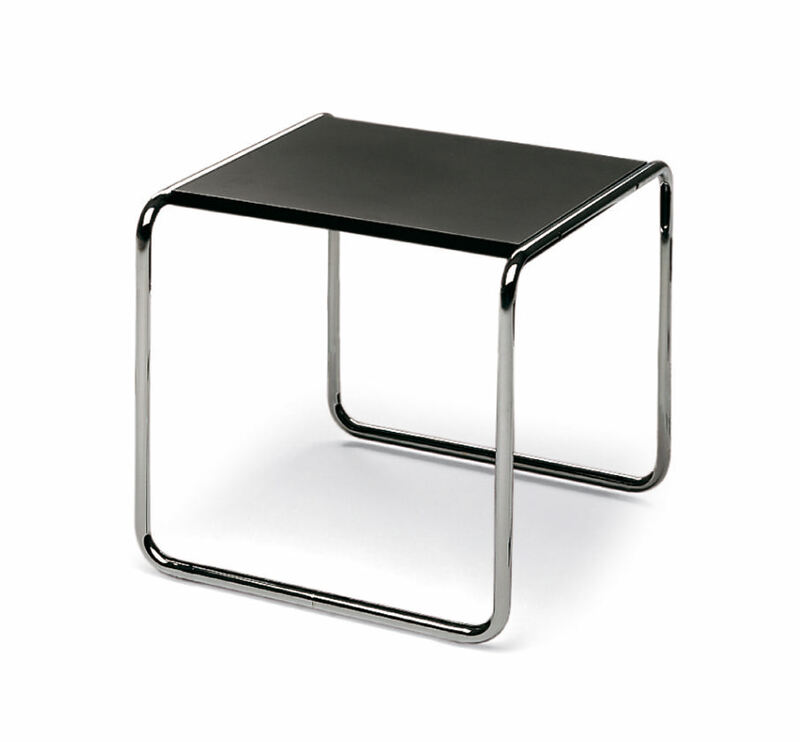 After studying at the Bauhaus and later becoming director of the school's furniture department in 1924, Breuer designed a series of noted structures including innovative houses, UNESCO Heaquarters, and the Whitney Museum of Art.